The State of Alaska will collect its first marijuana taxes this month, but records from the Alaska Alcohol and Marijuana Control Office show the nascent industry has already paid more than three quarters of a million dollars in fees since the first license requests were filed in 2015. 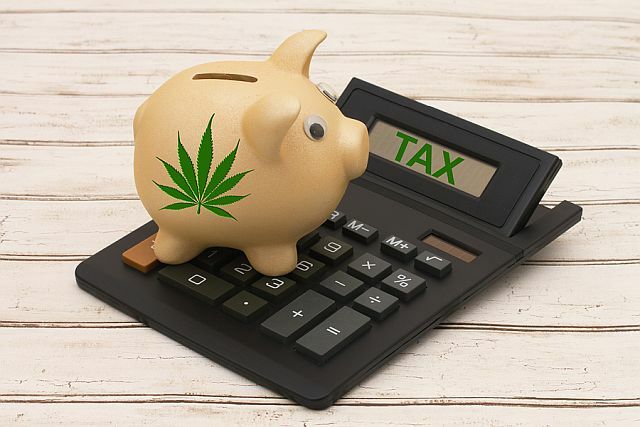 According to the results of a public records request filed by the Juneau Empire, marijuana retailers, testing labs, manufacturers and growers paid $341,512.50 in fees between July 1, 2015 and June 30, 2016. From July 1 through Nov. 1 this year, they paid another $428,144. “We’re really happy to be able to be above-board and contributing to the state at a time where we’re absolutely strapped for cash,” said Cary Carrigan, executive director of the Alaska Marijuana Industry Association, which represents businesses across the state. Those figures only tell part of the story, however. The Alaska Department of Commerce and Community Development, which oversees AMCO, has stated that it wants to make the department completely self-funded with fees by fiscal year 2020, which starts in July 1, 2019. “I think we’re on track,” said Cynthia Franklin, director of AMCO. In Fiscal Year 2017, which started July 1, the state provided $1.5 million in startup funds to pay for marijuana regulation. That came atop $700,000 in the previous fiscal year. Even if fee applications continue at the present pace, AMCO won’t make enough in fees to cover that bill. Furthermore, the state splits permit fees with municipalities. If a marijuana farm pays the $5,000 fee for a permit, half that sum will go directly to the city or borough that hosts it. The figures provided by AMCO don’t include that split, and even if they did, AMCO doesn’t have permission from the Legislature to spend more than $100,000 of the money it has collected so far. The remaining $670,000 will remain locked away until lawmakers allow the state to spend it. That leaves AMCO in an ironic situation: It is struggling to deal with a flood of marijuana demand atop the normal tide of alcohol license renewals, but a state hiring freeze and the locked-up money mean it can’t immediately fix the issue. At a meeting in late October, Jeremiah Emmerson of the Alaska Small Cultivators Association pleaded with the Marijuana Control Board to release more financial information. AMCO figures don’t include the regulatory costs incurred (and fees collected) by other state agencies, including the Department of Environmental Conservation, which will oversee kitchens producing marijuana edibles. In Alaska, marijuana businesses — like alcohol vendors — pay both taxes and fees. There’s little question that this year, the state will make millions of dollars from marijuana taxes. The state tax is $50 per ounce for flower (or bud) and $15 per ounce for other parts of the cannabis plant. Earlier this year, the Alaska Department of Revenue estimated that the state will collect $6 million in fiscal year 2017 and $12 million in 2018 from marijuana sales. The first ceremonial retail sale took place Oct. 28 in Fairbanks, and the first official store opening took place Oct. 29 in Valdez. The first tax deposit is expected no later than the last day of November. Pruitt and many other lawmakers make a distinction between taxes and fees. “Really, the fees should cover the cost of the regulation, and taxes should be going toward the state coffers to pay for other things,” he said. When he campaigned for office this fall, Pruitt said he heard from voters who said the industry needs to get up and running with help from the state. He’s not opposed to that, but in testimony earlier this year, he said he wants to make sure that isn’t a permanent situation. “Maybe we need to use some of the taxes at first to get it off the ground, but that should be kind of a temporary thing,” he said. Carrigan said he thinks “we are willing to pay what’s reasonable and necessary to move the industry forward,” but it will take time for marijuana to pay for itself on fees alone. He said the state’s goal of summer 2019 is a reasonable one that will give the industry time to open its retail stores. “Right now, people are paying a ton of money out of pocket, and it’s really incumbent on us to get our retail operations open,” he said. When that happens, the marijuana industry will start to resemble the alcohol one. Last fiscal year, that industry generated almost $2 million in licensing and permit fees, enough to pay for all alcohol regulation operations in Alaska.